The Phoenix is about overcoming darkness and rising to the challenge to become powerful and succeed. We chose the Phoenix to symbolize our continued belief that trauma and recovery work can lead people to become the person they were born to be - to rise from the ashes of your trauma, addiction and alcoholism. To find your true self. Our truth still lies in the Dragonfly (Odonata). Our work begins as the Dragonfly leads us through the journey of looking at the past, while living in the present, and moving, at all times, towards the future. The dragonfly can see 360 degrees at one time. Being able to see the past, and the present, while moving forward was the cornerstone of our mission. 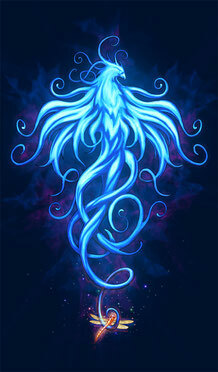 Now through the Phoenix we have developed our theories to build a deeper meaning into the final leg of the journey. Our therapists are trained in trauma informed care. We believe that if there has been trauma or loss in your life, moving forward may be hindered by the past. Your present may be filled with pain, frustration, fear, mistrust, or wearing masks to get through the day. We understand that trauma can bring symptoms of depression, anxiety, isolation, and anger. At Phoenix we can educate you and give you options of ways to move forward on your journey. Phoenix Rising provides both individual and group therapy for a variety of concerns depending on the needs of each client. provides Substance Use psychotherapy, Intensive Recovery Groups, and Dual Diagnosis groups. Phoenix Wellness and Retreat Center provides yoga, reiki and energy work, life coaching, continuing education training, workshops and more for our clients and community members. Community Partners include Southcoast Primary Care Physicians, NORCAP Lodge, Habit OPCO, Dr. Mary Acunzo Neuropsychologist, and more. We offer free Yoga to our clients through the fall and winter. Give us a call for days times. At Phoenix Rising, we treat the client as a whole person. With a trauma informed care approach we utilize diverse therapeutic methods to treat and heal the client, their environment, and the family as needed. Healing strategies may include: understanding life transitions that influenced decision making, learning root causes of guilt, blame, shame, and gaining a new perspective, Motivational Interviewing, CBT, REBT, Bowen Intergenerational Family Therapy, Internal Family Systems Therapy, and others. Our Mission is to provide high quality trauma informed psychotherapy, recovery, and human services that enable people to develop their fullest potential; while maintaining the highest standards of ethical and fiscal responsibility.